This was pretty much the only thing that could make a 5-4 road trip against crappy teams seem like a huge shot in the arm for the Dodgers. 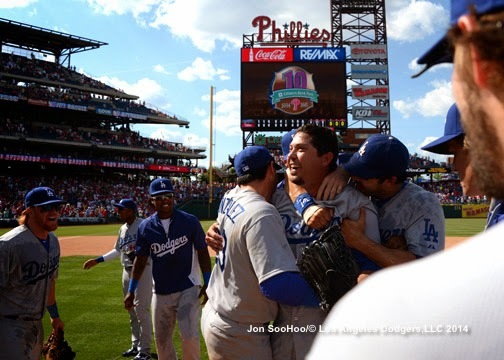 Congratulations to Josh Beckett, who threw the Dodgers' first no-hitter since Hideo Nomo's miracle in Colorado on September 17, 1996. 1. A.J. Ellis PowerPointed Beckett. If you haven't read it yet, check out Pedro Moura's excellent piece on how Ellis convinced Beckett to utilize his curveball more. Of course, a curve isn't very useful without a fastball to contrast it against. Consider that Beckett threw two 93-mph fastballs in the ninth inning (he threw 128 pitches overall) and struck out Chase Utley to end the game on a 94-mph fastball. Ellis? One less rib? Whatever it is, it's working. 2. Runs! The good kind! The Dodger bats gifted Beckett with a relative windfall of six runs, including two RBI by Adrian Gonzalez and a solo home run by Justin Turner. Yasiel Puig went 2 for 5 with a run scored. But most important may have been the three runs (two unearned) scored by the Dodgers in the seventh inning, giving Beckett the wiggle room he needed to finish the game. With a three-run lead, maybe not so much. 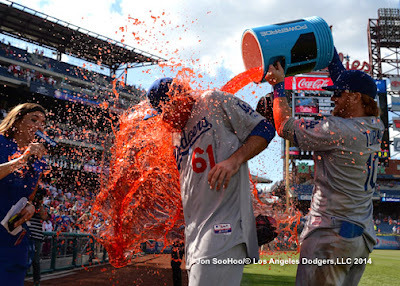 Also lost in the chaos: Whither Matt Kemp? Perhaps left field? I don't know when Kemp went from being a Gold Glover to a defensive liability, and you have to wonder if the problem is physical or mental. Or both. 3. Arruebarrenacuda! Do you trust Hanley Ramirez to play no-hitter-caliber defense? 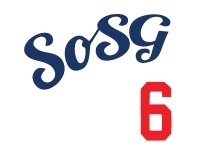 Miguel Olivo eats Alex Guerrero's ear, Hanley goes down, and defensive specialist Erisbel Arruebarrena (who also just happened to have an RBI single today) steps up. Not an insignificant series of coincidences. We said earlier the Dodgers need a cure. 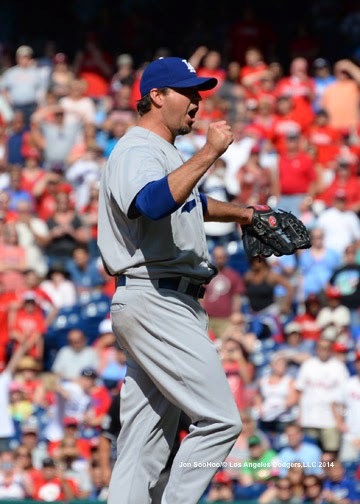 Let's hope Josh Beckett's shot in the arm contains some good medicine! 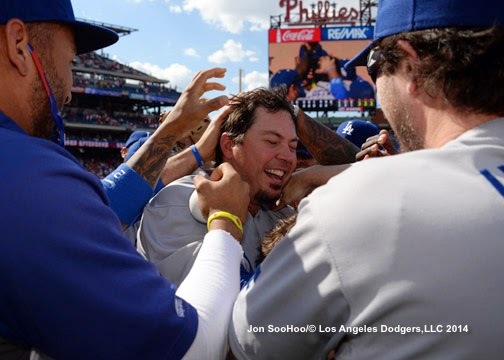 A wonderful moment for Dodgers fans everywhere! Nice that Phillies fans had the class to understand what they were seeing and appreciate it as well. Great job on the PGT Orel. Although it was AJEllis who helped Beckett, it was Butera who caught the game today. If Beckett threw a no-hitter and nobody saw it, did it really happen? I saw it on my phone in San Francisco. Then I ate a panda head. If Beckett ate chicken and beer in the locker room and nobody saw it, did it really happen?